Sea lion cubs! Check out the last link to see some more awesomely adorable pictures. I hope you all are ready for a resurrection of an old regular on Actually Allie, Friday Jamboree! Here, I share with you some of my favorite links that I’ve looked at over the week on my Feedly or otherwise. Sometimes, there’s more on my Twitter, too. Happy browsing! I’ll start off with something political. While I’ve always been taught to keep my politics to myself, I do want to speak up while the Supreme Court is deliberating gay marriage. How are children of gay parents affected? Not that much. What caught me about this article was the idea of “editing your lifestyle” – and on a budget no less! Really good article about what makes relationships unravel, and how to avoid the four horsemen of the relationship apocalypse. Some signs that I’m still an a cappella nerd, and that I miss my group at Wheaton dearly. Signs You Sang A Cappella in College. I never go anywhere without my Tube map in London. But these maps are just out of control. Thank you, Buzzfeed, for showing me the London Underground maps that I never knew I needed. Apparently, some people think that they can tune in to ghosts on the radio . Including one of Hitler! Unfortunately, these people are just being fooled by vague radio waves. I’ve spent a lot of time on Buzzfeed lately, apparently. But I seriously couldn’t NOT share this. 24 Texts You Don’t Want to Get From Your Parents had me making noises I didn’t know I could make. Giggling, of course. Here are a few of the articles I wrote for Dulwich OnView this week! Iw wrote about a fish photography exhibit, Rainforest of the Sea, I made a video about the gentrification of Brixton, and I learned about vegan beer at a Dulwich Vegans meeting! And, if you haven’t heard, since Monday I’m now obsessed with Beach House. 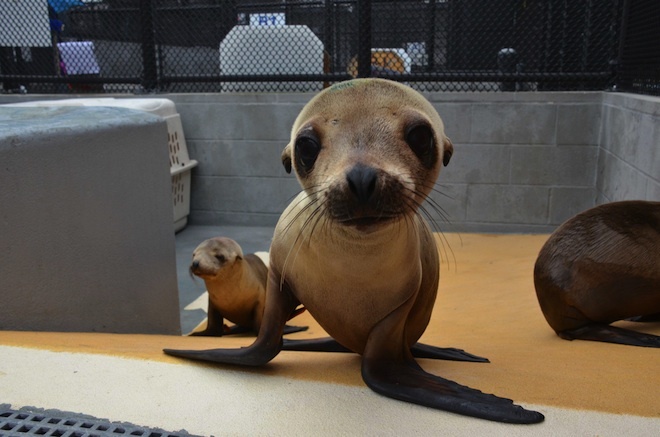 To end this post: sea lion cubs! You’re welcome! I’m off to Bath for the weekend with my aunt. More updates to come after Easter weekend. Happy holidays! This is a blog about entertainment. About love. About equality. About the things we hold dear. About travel. This is a blog I am proud to call my own. I'm Actually Allie. Let me show you a few things.